Counselling: Which approach is right for me? 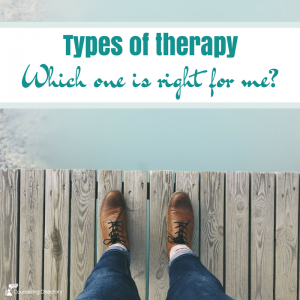 What are the different types of therapy, and how can they help? 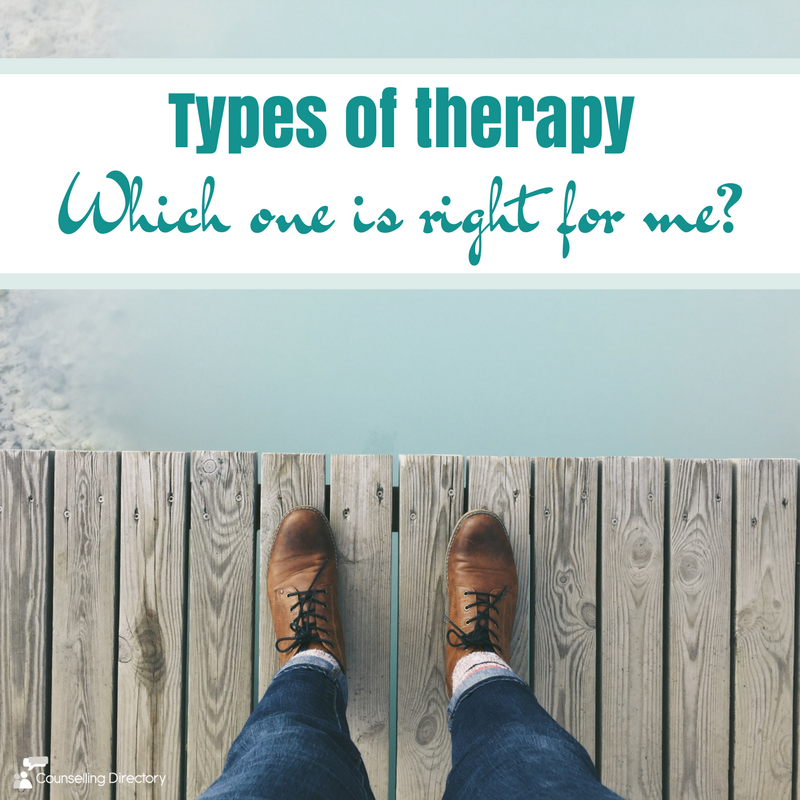 Asking for help can be incredibly daunting, and with so many types of therapy available, how do you know which one is right for you? We explore some of the common types of therapy used in counselling, and how they may be able to help. When you’ve decided you are ready to find a counsellor, the next step is to research. In counselling and psychotherapy, there are many different therapies that they may use. While all can be effective in some ways, you may find one approach more appealing, or that some are more suited to your situation than others. Typically, the therapies under each category will have a particular focus. For example, humanistic therapies focus on self-development; improving who you are in the present. However, many professionals will practice integrative therapy, which means they draw on and blend specific techniques from different therapies. Others may work in an eclectic way, taking elements of several models and combining them when working with clients. Below are common scenarios in which people seek counselling and the therapy types that may be the most helpful. Of course, counselling is highly individual, and the techniques required will depend on you, your reason for seeking counselling and the counsellor themselves. Cognitive and behavioural therapies are based on the way you think, and the way you behave. The premise of behavioural therapies is that it is possible to change or ‘retrain’ the way we think and behave, in order to manage and overcome specific situations. CBT is a talking therapy, which looks to help you manage problems by teaching you how to recognise and understand how your thoughts affect feelings and behaviour. CBT aims to make overwhelming situations easier to manage, by breaking them down into smaller, easy-to-overcome problems. This approach is based on solution-building, rather than problem-solving. While it acknowledges present problems and past causes, predominantly, solution-focused therapy explores your current resources and future hopes, to help you look forward and use your strengths to achieve your goals. Mindfulness aims to reconnect us with ourselves and alleviate stress. Practising mindfulness can help us to feel more attuned with our mind and emotions and generally, be more aware of ourselves, mentally and physically. These days, we are constantly busy. Life is fast-paced and often, we’re juggling two, three, four things at once. We are mindless. Mindfulness is a specific way of paying attention to what is happening in and around our lives. It can’t completely eliminate life’s pressures, but it can help us to stop, take a break and more importantly, slow down. At first , it can be difficult to quiet your mind, but with practice, you learn to take a step back from the clutter of life, acknowledge what is happening and view it accurately, without judgement. Psychoanalysis is an approach that focuses on the unconscious and deep-rooted thoughts. The premise is that our current behaviours, thoughts and feelings are directly influenced by our childhood and past experiences. It is thought that if repressed, these thoughts can manifest themselves as depression, or other problems. A strong relationship between client and therapist is essential in psychoanalysis treatment. Within sessions, you are able to talk freely about what is on your mind, and so trust is needed. Psychoanalysis allows you to understand and address internal conflicts, build on self-understanding, and find freedom from the negative thoughts and behaviours that have been impacting your life. Couples counselling is an approach specifically designed for the two people within the relationship. It looks to aid communication, identify issues and facilitate change within a relationship. Of course, very few relationships exist conflict-free, but when our most valued, intimate relationship suffers, as does our health and happiness. Many are able to work through problems on their own, but sometimes, professional help is needed. Essentially, couples counselling is a form of talk therapy – you won’t be told what to do and the counsellor is unlikely to offer an opinion. This approach works to help you communicate with each other and find a resolution, together. Sometimes, talking therapies aren’t right for what you need. You may struggle to express how you feel using words, or perhaps are unable to. Arts therapies employ creative arts in a therapeutic setting, with the aim of encouraging individuals to express their feelings through creativity. Art therapies in the term used for a number of approaches. Art therapy uses common art materials, such as paints, paper, pencils and clay to help you communicate how you are feeling and provide an insight into any internal conflict you face. Dramatherapy uses acting and performance techniques to help you express yourself, while helping to address difficult emotions. And music therapy is an approach which harnesses the communicative power of music to promote positive change. Compassion-focused therapy (CFT) looks to help those who struggle with shame and self-criticism. While all talking therapies involve compassion, improving self-love and being kinder to yourself, CFT looks to help you consciously develop your ability to be more compassionate towards yourself, and others. While psychological therapies will generally fall under the above categories, there are a number of therapies that may benefit you, such as schema therapy and play therapy. Knowing your options and talking them through with your doctor and/or counsellor can help you figure out which treatment is most helpful for you and your circumstances.